The Biltmore Forest School was the first professional school of forestry in the United States, founded in 1898. It was based in Pink Beds Valley, Pisgah Forest, near Asheville, North Carolina. The school operated for 15 years and trained 350 foresters. The founder of the school was Dr C. A. Schenck, forester on the Biltmore Estate. This presentation is a photo-essay based on a trip in October 2013 to the Biltmore Forest School site, which is now part of the Cradle of Forestry visitor and educational centre. The Cradle of Forestry is operated by the US Forest Service, and the forest is now part of the Pisgah National Forest. 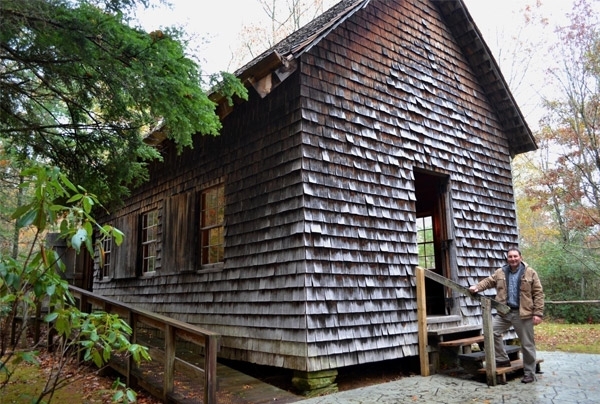 The Cradle of Forestry not only tells the story of the beginnings of professional forestry education in the United States, but also presents the history and development of sustainable forest management to a new and diverse audience.